What better way to get a little festive at Chtsitmas time than a Christmas themed lychee mojito. I came across this image a while ago sans a recipe so after a lot of research, trials and tastings, this is the recipe i thought was most fitting. Lychee is one of my favourite summer flavours and super refreshing. In a cocktail shaker, muddle mint leaves and 1 sliced lychee with 1/2 tsp of superfine sugar. Add lime juice, simple syrup, gin and ice. Shake well and strain into chilled glass. 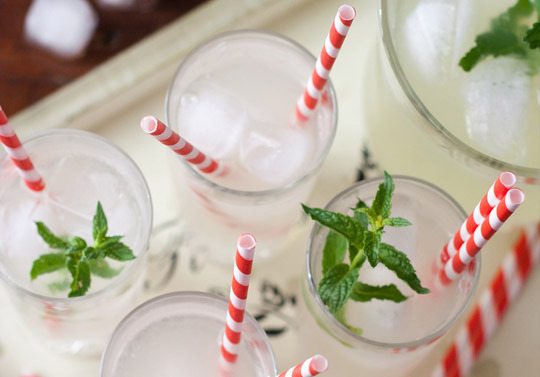 Top with the club soda or sparkling water and garnish with fresh lychees and mint. I like to leave quartered limes in the glass too. I am off to Durban for holidays as of Thursday so this will hopefully be very fitting for the climate!